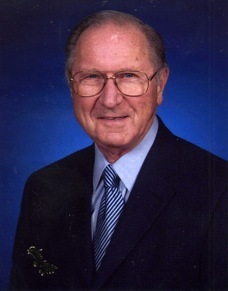 Raymond W. Jung, 81, a resident of 430 West Fifth St. Oswego, passed away September 9, 2010 at the Oswego Hospital. Born in Oswego, he was the son of the late Antoni and Mary (Sarat) Jung. Ray was an Army Veteran serving during the Korean Conflict and recipient of the Purple Heart. Ray served as a Director for Pathfinder Bank. He was a member of the Oswego Country Club, Oswego Lions Club, Chamber of Commerce and the Polish Legion of American Veterans. He enjoyed golfing, cooking, canning and spending time with his family and friends. He was a member and Trustee of St. Stephenâ€™s Church. Ray loved to travel and was a season ticket holder for the Syracuse Symphony and Opera and Syracuse University Football. Surviving are his wife Barbara (Cheney) Jung; two daughters, Karen (John) Moore and Kristine (Daniel) Chalifoux, both of Oswego; a son, Kevin (Patricia) Jung Sr. of Oswego; step-daughters, Lisa Nassar and Laurie Santoro both of Oswego; a brother, Stanley (Patricia) Jung of the Town of Oswego; a sister, Jane (William) Fitzgibbons of Florida; a sister-in-law Dominica â€œMinnieâ€ Jung of Oswego; nine grandchildren, Kevin (Lori) Jung Jr., Brian Jung, Katherine Jung, Kristin Chalifoux, Christopher Chalifoux, Nicholas Chalifoux, Elizabeth Fontenot, Lauren Nassar, Dominic Ferlito; a great granddaughter, Olivia Fontenot. He was predeceased by his first wife, Catherine Jean (Edwards) Jung in 1979 and a brother, Eugene â€œWhiteyâ€ Jung. Funeral Services will be held 11a.m. Monday at St. Stephenâ€™s Church. Burial will be in St. Peterâ€™s Cemetery. Calling hours will be held 2-5pm. Sunday at the Nelson Funeral Home, 11 West Albany St. Oswego. In lieu of flowers, donations may be made to St. Stephenâ€™s Church, 138 Niagara St., Oswego. My condolences to Ray’s family, I have many happy memories of the ole days and Raymonds Jewelers. He was a a really nice guy and always had a smile. Dear Pat and Stan, we are so sorry to know of the passing of your brother. It is always difficult to loose a family member, how blessed we are to know that God has our loved ones in His house forevermore. He is not gone, just in another world and you will see him again. Take whatever comfort you can in loving family and friends.